Why Do We Use Incense at Mass? The Catechism advises us that prayers of petition include substantially more than our spirit. “Regardless of whether or not supplication is communicated in words or signals, it is the entire man who asks” (CCC 2562). Hence, the Church’s worship contains various components that are noticeable and connect with our senses. The Catechism teaches us that, “In human life, signs and images involve a vital place. As a physical being, man communicates and sees profound substances through signs and images. As a social being, man needs signs and images to speak with others, through dialect, motions, and activities (CCC 1146). 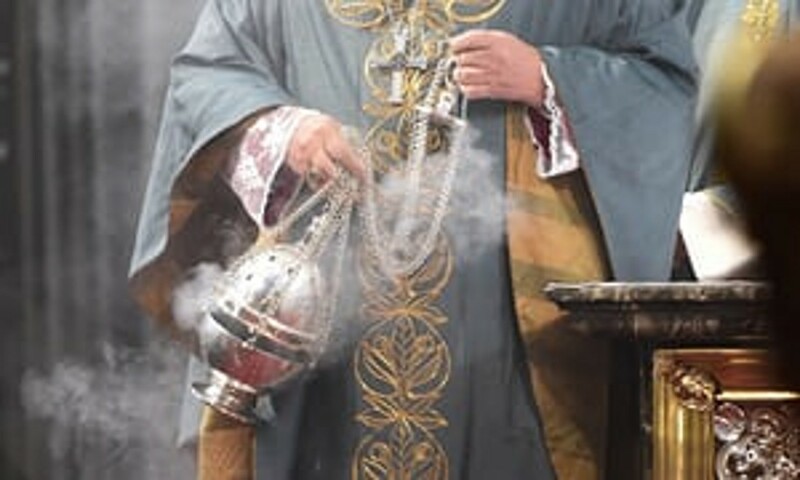 To help connect with the greater part of our faculties amid the celebration of Mass, lifting up our bodies and souls to God, the Church for quite a long time has utilized incense as a vital outer sign. Incense was an imperative piece of love for some antiquated religions, including the Jewish people. In the Tabernacle, and also the Temple, God directed that a “sacrificial stone of incense” be constructed. God commanded that Aaron, the High Priest, “...must burn incense again when he lights the lamps at twilight so incense will burn regularly before the Lord for the generations to come” (Exodus 30:8). Associated with this custom is the best-known expression about incense in the Old Testament: “Let my supplication be set before you like incense; may the lifting up of my hands be like the evening sacrifice” (Psalm 141:2). Christians immediately received the utilization of incense, and it shows up unmistakably in the book of Revelation, as when St. John writes, “the smoke of the incense ascended with the supplications of the holy people from the hand of the holy Messenger of God” (Revelation 8:4). In light of the above Scriptures, the essential significance behind the utilization of incense is to symbolize our supplications ascending to God. When we see the incense, we are reminded that the priest is there to pray for us before our God. Incense additionally brings to mind the wonderful reality of the Mass, reminding us that the Mass is a meeting place amongst Paradise and Earth. Lastly, the thick billow of incense can regularly enlighten our perspective of sacred places. Our mortal personalities can’t grasp completely the mystery that is being re-presented before our eyes at the Mass; and the incense makes that reality significantly more unmistakable. So while the utilization of incense can appear to be interesting now and again, it has profound otherworldly roots and has been a piece of Heavenly love for a huge number of years.